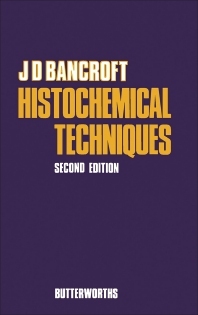 Histochemical Techniques, 2nd Edition deals with different methods of tissue processing and their application to histochemical procedures, including freeze drying and freeze substitution. Topics covered include fixation, production of paraffin and frozen sections, and principles of enzyme histochemistry. The use of histochemical methods to demonstrate carbohydrates, proteins, amino acids, lipids, nucleic acids, pigments, and various enzymes is also discussed. This book is comprised of 20 chapters and begins with an overview of the problems and values of histochemistry. The discussion then turns to carbohydrates, along with concepts and methods in carbohydrate histochemistry such as blocking and enzyme methods. Other chapters focus on amyloids, pigments, minerals, phosphatases, and esterases. The principles of enzyme histochemistry are also considered, with emphasis on preservation and factors affecting enzyme activity. The final chapter is devoted to ultra-histochemistry, the application of histochemistry to electron microscopy. This monograph will be of interest to histochemists, histopathologists, and technologists involved in histochemical work.